The Carbon County Arts Guild continues to grow with a membership of over 300 artists and is fast becoming the leading small- town art center for residents and visitors to south central Montana and Northern Wyoming. As an art facility, the Guild presents an ever-changing gallery of regional art for supporters and assists artists in the building of their own personal collection. Their focus is on a variety of educational opportunities for all ages and for all artists, with a special emphasis on youth art education and art appreciation. As a gallery, the Guild is dedicated to building and maintaining a permanent art collection, relative to our history as an art center and to the historic train depot which houses the Carbon County Arts Guild and Depot Gallery. Our Mission The mission of the Carbon County Historical Society & Museum is to preserve and communicate the history of the Carbon County area. Carbon County Historical Society & Museum History History is not just about dates, names, and places. Preservation is not just about bricks and mortar. Both are about human values, about relationships between individuals and their communities that stretch from the past through the present to the future. The Carbon County Historical Society & Museum has done just that. The museum was first established in 1959 by Alice Greenough to house the collection of her world-renowned rodeo family. The Carbon County Historical Society was formed in 1974 and took over the museum facility in 1980. In 1990, the three-story Labor Temple building was gifted to the Carbon County Historical Society by an anonymous donor. The Labor Temple was built in 1909, entirely by the Red Lodge Miners Local No. 1771, and put on the National Register of Historic Places in 1983. The historical society reopened the museum`s doors with a newly remodeled basement and first floor in 1999. The museum is the home to the Greenough and Linderman rodeo collections, the Waples family gun and projectile point collection, an interactive coal and hard rock mine exhibit, the Carbon County archives, and much more. The staff assists with family genealogy and historic research. The gift shop has a large variety of Carbon County, Montana and Old West historical books and gifts. Spa, beauty and personal care day spa. This playground has a 5-12 section and a large tot lot. It includes a rock climbing wall, a train tunnel, a musical area, a tire swing, a double slide, a tube slide, a wooden tee-pee, and lots of public art. Red Lodge Powersports will be renting ATV`s, UTV`s and Snowmobiles. The ATV`s and UTV`s are street legal so they can be driven anywhere. Call 406-446-3199 for rental information. Catch a flick at our local theater! The Silver Strike is a Casino, Bar, and Bowling Alley, in the resort town of Red Lodge, Montana. We are located at the North end of town across from First Interstate Bank. Welcome to the Beartooth Recreational Trails Association The Beartooth Recreational Trails Association (BRTA) was organized in 2002 for two primary purposes: 1) to continue the winter operations of the Red Lodge Nordic Center (RLNC), and 2) to promote year round non-motorized trail systems along the Beartooth front. We work closely with the Forest Service, the City of Red Lodge and other organizations to create and expand future trails. We have attracted many supporters and are an official 501(c)3 non-profit. The RLNC continues to grow with new skiers and new trails, and we are involved with Rocky Fork Trails, the Red Lodge trail planning and development process. Support BRTA and keep nordic skiing, hiking, snowshoeing, biking, and horseback riding priorities in our community! Sign up for our electronic newsletter for events, trail conditions, volunteer opportunities and more! Or attend a monthly BRTA Board meeting - every second Wednesday, 6:30 at the RLACF building across the street from the post office (13th & Oakes Ave). Want some fresh air, this is the perfect family activity. Click here for more information on the Nordic ski center. Well Approach is now a full spectrum Well health center. Personal Training,massage therapy, Full membership gym with classes,physical therapy and holistic group sessions like meditation class. Come check us out. 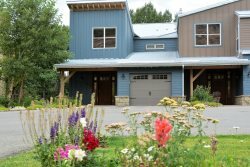 Montana Wildflower Weddings is truly a dream wedding venue within minutes of Red Lodge and of one of the closest mountain settings near Billings. Set amid the natural beauty of the lush green meadows, vibrant flower gardens, spectacular water features and the breath taking panoramic view of the mountains this venue is the perfect setting to experience your dream wedding. Welcome! Yellowstone Dog Sports offers many opportunities to learn and play with your favorite dog in a beautiful setting near Red Lodge, Montana. Check the EVENT PAGE for what`s happening at YDS! Spend a week in Montana, learning and playing with your dog at one of our Dog Vacation Camps! Or attend one of our competitive training camps (agility, nosework, obedience, etc.) The 2015 and 2016 summer schedules are available on the EVENT page. Our Dog Vacation Camps were featured in TIME and FIDO FRIENDLY MAGAZINES! Dog Obedience & Agility Training We focus on training for competitive dog sports: obedience and agility. Group and Private lessons for new students will be available January-April 2016. Read more, Event Center Planning a Dog Agility Trial, National Specialty or other canine event? Contact us about our Event Center, now taking bookings for 2015 and 2016! Beartooth Nature Center is the only public refuge in Montana to house native animals that cannot be returned to the wild due to injury or habituation to humans. We care for over 60 animals and birds, many placed here by Montana Department of Fish, Wildlife & Parks, including wolves, mountain lions, black bears, bison, elk, bobcat, fox, coyote, eagles, hawks, owls and many more. The Nature Center offers visitors an unparalleled chance to learn about these and other animals by observing them at close range and through interpretive displays. Whether you are looking for a deep relaxation massage, or a more targeted massage with a focus on a specific area of discomfort, Mimis massage is intended to meet your needs. Mimi honors each clients wishes for their session and treats each session and individual as unique. Mimis uses several techniques in her therapeutic massage including manipulation, holding, stretching and isolating the soft tissues of the body, long sweeping strokes that increase blood flow to promote relaxation and well being, as well as trigger point release, reflexology and passive stretching. The Ski Station in Red Lodge & Billings, Montana has your snowboard, skis, rentals and equipment but don`t let our name fool you � we have your new bike & outerwear too! Stop by and gear up!